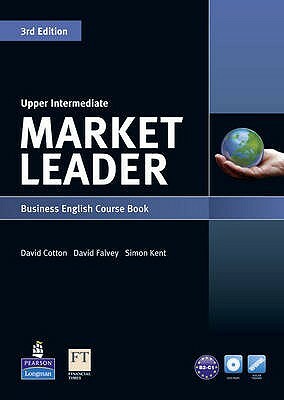 245 1 0 %a Market leader : %b upper intermediate business english : course book / %c David Cotton, David Falvey, Simon Kent. 250 %a 3rd ed., 7th impr. 260 %a Harlow : %b Pearson Education, %c 2015. 300 %a 175, s. : %b il. kolor. ; %c 30 cm + %e dysk optyczny DVD-ROM. 500 %a U dołu okł. : Financial Times. 538 %a Wymagania systemowe dla dokumentu towarzyszącego: Windows XP ; Vista/7 ; MacIntosh OSX 10.4 ; gnuLinEx/Ubuntu 8.10 ; 1 GHz Processor, 256 MB RAM, 64 MB Graphics card, 1024 x 768 Screen Resolution.